It’s been basically a week since 16-year-old Bille Eilish released her highly anticipated record When We Fall Asleep, Where Do We Go, and despite the numbers not being in just yet, it has garnered mixed thoughts throughout the week as well. According to Variety though, she is poised to have the second highest debuting record of the year only behind Arianna Grande‘s Thank U, Next. Billie Eilish has moved about 250,000 to 275,000 equivalent album units. Of those numbers right there, 75,000 have been pure sales alone. Agreeing with this source’s additional comment, these numbers are absolutely insane when it comes to album sales because most of her fanbase are pretty young and buying music is becoming a foreign concept. With all those numbers, the internet has chimed in with their thoughts about the record. While some have been fairly negative, others have been praising the young Eilish in how groundbreaking she has been for pop music. However, we need to look beyond this record and this era of a 16-year-old girl figuring out life and her craft, and look forward to what could happen. 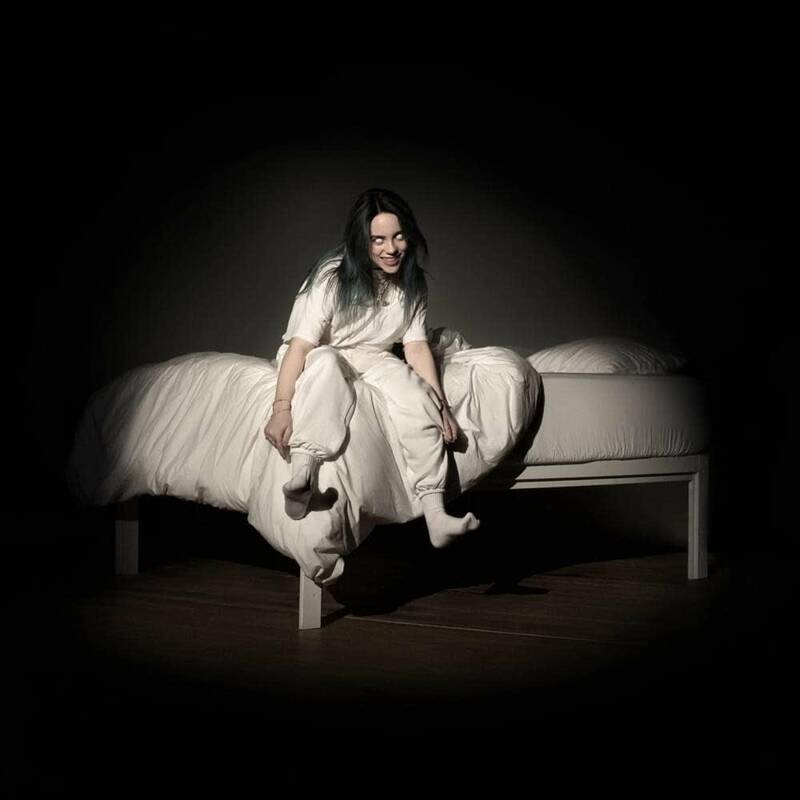 Just think, if this is Billie Eilish now, what will she look like at age 26 on album number 5, should she follow the ‘an album every two years’ model until then. Of course there are many women who have started young and have become massive stars in the music industry. However, there is not a single one who has risen up from her mid teens to take over the industry while also having her own label and media empire. That is Taylor Swift. Eilish and Swift are like Ying and Yang. Polar opposites in style and branding, but similar in the fact that many young fans are watching and obsessing over these stars. Taylor Swift was only 16 years old as well when her debut record Taylor Swift came out. From then on it was a total take over on the country charts then overall Top 40 pop charts. The debut from Swift topped out at #5 on the Billboard 200 with a year-end position of #9. Go just over ten years later with her 2017 release, Reputation, and we see it hit #1 on the Billboard 200 and get certified 3x Platinum. With all that being said, the path for Eilish to have a similar career is certainly there and while many people are sitting in the now and criticizing this record, it’s only a debut. Where is the next step? Then the one after that? Fast forward ten years and it’ll be her sitting on the throne. As much as we love Taylor Swift, the spotlight is dimming. Whether or not you think her music is innovative or she’s overrated isn’t really the point at the end of the day. For one, When We Fall Asleep, Where Do We Go is a record that gives us something different in Pop music. It’s not empty or recycled crap that we have heard over and over. It has a mood to it, the writing is shockingly vulnerable and mature for her age. It also promotes the opposite of tons of major hits, for example, in Xanny, she sings: “I don’t need a xanny, to feel better”. Usually, we hear the opposite of that. If it’s not for you, then just wait and hopefully as she improves, which is scary to think about, you may enjoy it then. If you’re someone who is praising her and this piece of art, then you should get goosebumps just picturing what you’ll be hearing years down the road from her. Love her or hate her, Billie Eilish isn’t going anywhere…but up.